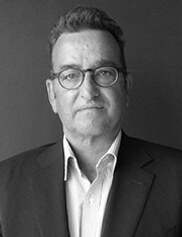 Mark McCraith is one of Australia’s most seasoned Marketing and Media professionals. With over 30 year experience leading successful media agencies such as Carat, Mindshare and Maxus as well as Director of Marketing, Fiat Chrysler Australia (FCA), realising 200% growth for the Jeep brand under his leadership. During his career Mark has been responsible for investing hundreds of millions of dollars for some of Australia’s biggest brands such as Ford, Telstra and Westpac. His understanding of the media landscape, consumer behaviours, negotiation skills and most importantly his ability to grow and foster culturally diverse teams is reflected Mark’s previous leadership roles. He passionately believes in creating working environments where team members are nurtured and professionally developed. This has been recognised in BRW Best Places to Work 2015, 2016 and 2017 and also winning the 2014 B&T Magazine Marketing Team of the Year 2014.